We are talking with Samantha Walters, Vice President of Online Strategies at Colocation America - one of the most reliable colocation hosting providers nationwide. HOSTSEARCH: Samantha, thank you for giving us an opportunity to talk with you today. Can you please tell us about your background? SAMANTHA WALTERS: Thank you and a very Happy New Year to you as well. My background is a bit unique. I started out as a Social Media Strategist to nonprofits back when I was at the University of Arizona. When I moved back to LA to pursue my Master’s degree in Social Entrepreneurship, I landed a job at Colocation America to do social media and search engine optimization. As time continued, I found myself helping lead Colocation America into new verticals and forming strategic partnerships by conducting and analyzing internal and external evaluations of the marketplace. Also, in line with my “Business for Social Good” background, I spearheaded Colocation America’s Corporate Social Responsibility initiatives by developing a strategic plan resulting in numerous partnerships between Colocation America and Los Angeles based nonprofits. HOSTSEARCH: Can you tell us a bit about the history of Colocation America? 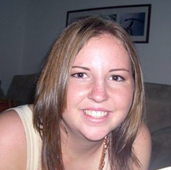 SAMANTHA WALTERS: Very much like my own beginnings, Colocation America started off by a group of industry-leading network engineers with a passion for online marketing. Over the years they grew their client base however their server and hosting just could not keep up! 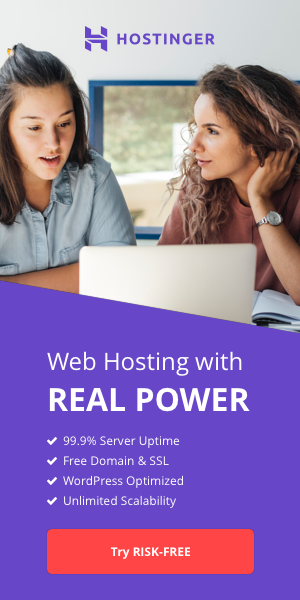 After trying numerous hosting providers, these IT professionals decided to take it into their own hands and started their own hosting company whose sole objective was to keep companies online and profitable. Today, we refer to this hosting company as Colocation America. SAMANTHA WALTERS: Here at Colocation America we have remained focused on providing trusted hosting services with the highest level of security, reliability, and scalability. Therefore, we offer our clients what we refer to as “The Foundation” of every IT infrastructure - IPs (connectivity), hosting (space), and servers (hardware). By staying dedicated to The Foundation, we are able to provide client’s the IT infrastructure they need to run anything from the cloud to disaster recovery solutions without worrying about the physical security and redundancy of their data center. HOSTSEARCH: What is the main reason your company chose to focus on colocation hosting? What kind of challenges do you deal with for this particular type of hosting? SAMANTHA WALTERS: When you consider that every IT infrastructure MUST be hosted in a security location, whether in an office server room or a Tier 3 data center, the possibility of hosting solutions are endless. For us, we believe the most secure and reliable way to stay online and profitable is to host a company’s IT infrastructure in a data center. Therefore, we offer the space in a secure location (i.e. colocation hosting) which offer’s clients full flexibility and scalability to build their own hosting solution. With that said, colocation implies that the client owns the hardware they are hosting. Therefore, it is the client’s job to ensure the hardware is setup and running properly. For companies with IT departments or a technology-guru on staff, colocation will save money in the long run since they own the hardware and manage it themselves. However this is not for everyone. For companies who may need a little more hands-on assistance they can look into managed hosting or dedicated server hosting plans which means we manage everything. It’s all about choosing the right plan for your business. HOSTSEARCH: Can you tell us more about “VoIP Server Plans” at Colocation America? SAMANTHA WALTERS: One of the things we pride ourselves on is our connectivity. With over 300+ bandwidth providers, we offer reduced latency and thus unparalleled connectivity speed. Therefore, we became one of the leading providers of hosting solutions for telecommunications providers, especially those that focus on VoIP. In order to assist these companies further, we created our VoIP Server Plans which will take the headache out of hosting. These plans are configured to use with leading VoIP billing and routing software. All the provider has to do is let us know how many concurrent calls they want, which software they use, and we will handle the rest! In other words, the VoIP Server Plans allow providers to focus on their business not their IT. HOSTSEARCH: Let's talk about the company’s data centers. Do you own your own datacenter, and where are they located? SAMANTHA WALTERS: Our goal is to keep clients online and profitable and we do this by offering affordable hosting in the top data centers in the US. With 22 data centers around the US, each strategically positioned to help our clients reach their core clientele, we are able to offer our clients the most “bang for their buck” by not owning the physical building our data centers are in. By lowering our overhead costs, we are able to pass down the savings to our clients. We may not own the physical building but we do manage and operate the space we lease to clients. HOSTSEARCH: I noticed you were offering IPv4 and IPv6 internet connectivity built for performance, reliability, and scalability. How can the customers take advantage of Colocation America’s IP Transit Services? SAMANTHA WALTERS: Beyond the security and reliability of hosting in a data center there is the advantage of the low latency connectivity. At Colocation America we offer a BGP blend which enables the fastest connectivity possible while keeping costs low. For companies wanting a specific provider, we can offer a cross connection to the carrier of their choice. Besides the actual connectivity, we offer IPv4 and IPv6 space (justification, of course, required). For web hosting companies, we can actually offer enough IPv4 space so they can offer their end-user Dedicated IP hosting as well as IPv6 capability. For Website Developing and Designing companies concerned with SEO, we can give them unique C Classes. To sum it up, whatever a company’s needs we will try to make happen. 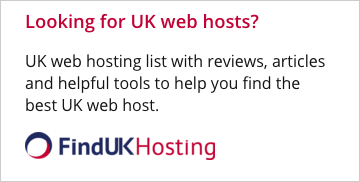 HOSTSEARCH: Some of the things that matter most when it comes to web hosting is reliability and performance. How do you ensure the best uptime and speed to your customers? SAMANTHA WALTERS: To ensure that we are keeping our clients up and running 24/7, we abide by a 100% Network Uptime guarantee. This way our clients can rest assured that their server is always online. In regards to speed – pardon my corniness – our tagline is “It’s All About Connections…” so we make sure it’s the fastest around. HOSTSEARCH: Do you plan for any new lines of services? What can Colocation America customers expect in 2015? SAMANTHA WALTERS: We are really excited for 2015 – there are a lot of things we have cooking. For one, we are building new strategic partnerships that will result in new offerings. Also, we are expanding outwards and creating new plans that better fit specific industry needs. So a lot of new offerings in 2015. However, my favorite new offering of 2015 (and I am completely bias), is our new Corporate Social Responsibility initiatives. Beyond expanding our Giving Back campaign throughout 2015 (more to come on that in the New Year!) and you are the first to hear this – we have created a STEM Grant to help support nonprofits increase student interest and encourage more female and minority students to pursue a career in a STEM-related field. Youth organizations and K-12 educators with STEM programming may apply and be awarded upwards of $7500 for their new or reoccurring program. Needless to say, 2015 is going to be an exciting year at Colocation America. HOSTSEARCH: Well, we look forward to see your success in the coming years. Thanks again for giving us an opportunity to talk with you today. HAPPY NEW YEAR 2015!! SAMANTHA WALTERS: Thank you and I hope all the best for you and your family in 2015!